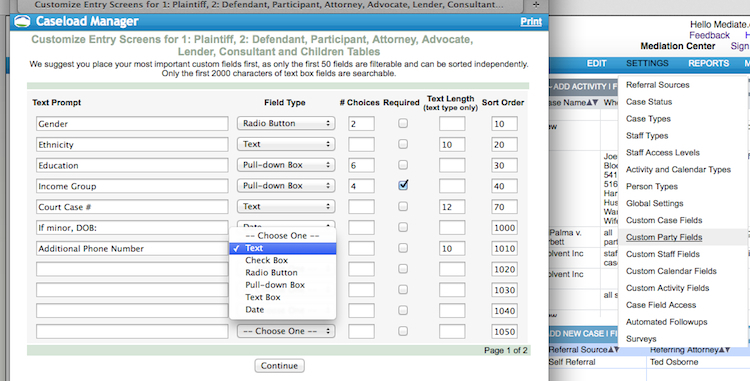 When you are initially creating a case (such as in Add Activity) there are a limited amount of fields. After you click "Save and Start New Case," you will be able to move into the new case record. On this page you can add more information. 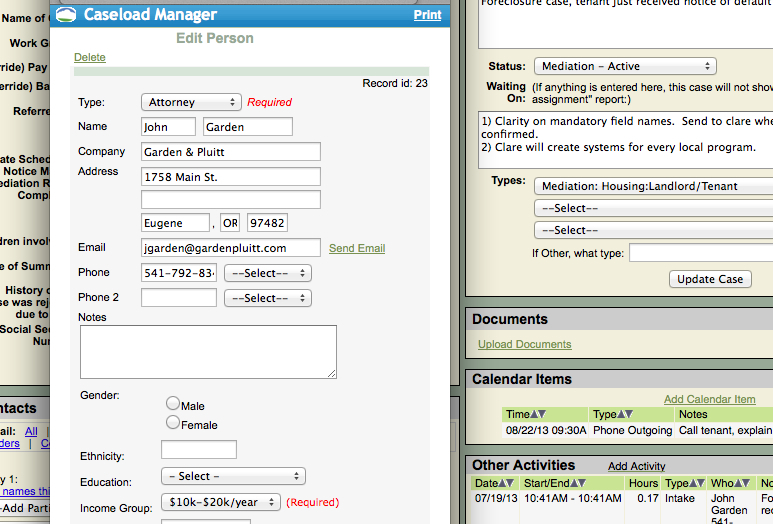 If you need to add additional fields, then you will need to create those as new Custom Fields. For instance: to add more phone numbers for a participant, click on that person's name and you will see all of the participant's fields appear. There are two phone numbers that come in each participant record as a default. To add more, go to SETTINGS > Custom Party Fields and create more Phone Number fields.